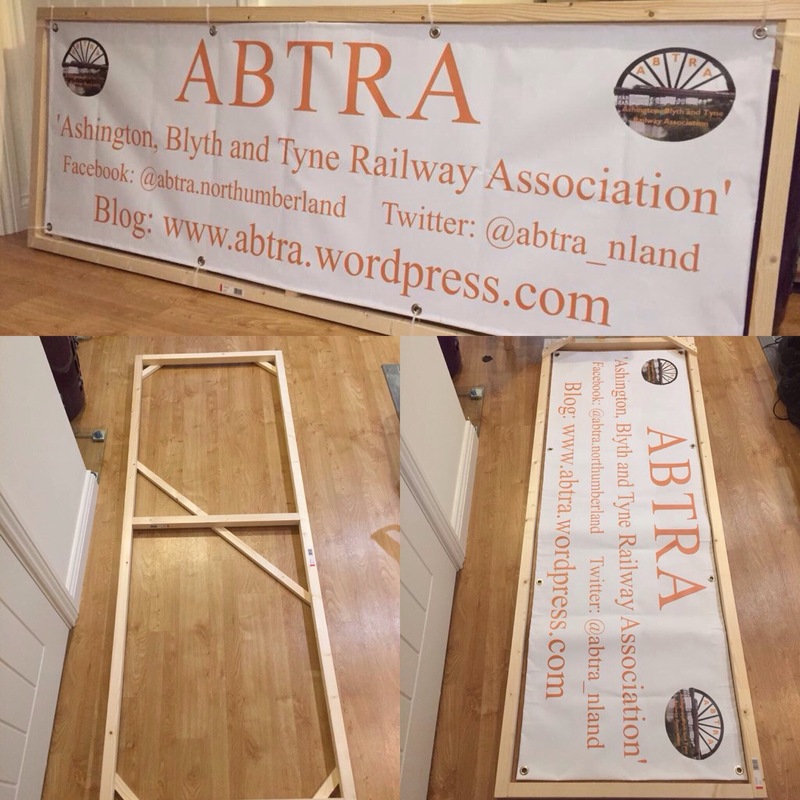 Over the last couple of days our Chairman has been working on a frame for the ABTRA banner. This is partially to help protect it from damage with repeated folding and unfolding; but primarily it allows us to display it more easily in a range of different places. We hope over the course of the summer to take it to a range of places (on tour as it were) to raise awareness of ABTRA as a group, and also surviving artefacts from the area such as locomotives, carriages and waggons. Please see the photo of our newly made frame below! In other news, our proposal for the Butterwell Branch is developing well and once the Committee has agreed upon it we will be sending it off to the landowner(s) for consultation with them. Please check back here in coming days for the latest updates.